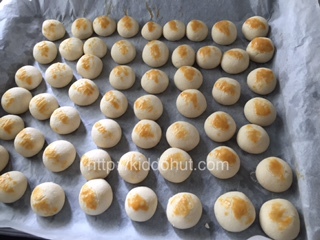 This has been an old recipe that I have been using before my old oven broken down and once again, after couple of years without oven, finally I put my hands on these Easy Almond Cookies especially when Chinese New Year is just round the corner. What I like about this recipe is, this cookies doesn’t have those particular almond smell which some people do not like. Those smell usually found in almond dessert. Reason, there is no almond essence used here. It is just pure almond powder. 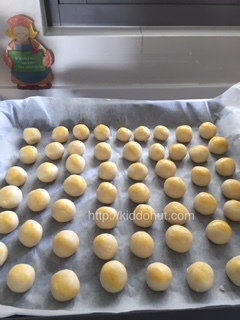 It is really very easy to make these, I must say, mix, roll and bake! 1. Mix all ingredients (except oil) together. 2. 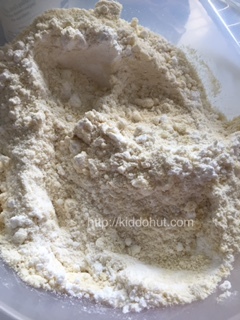 Slowly fold in the corn oil to form a dough. 3. 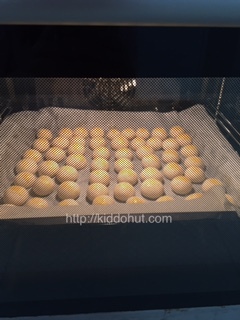 Roll into small balls and put them on non-greased baking paper. Optional: Put a slice of almond flake on top. 4. Bake at 150 degree c for 20-25 minutes.